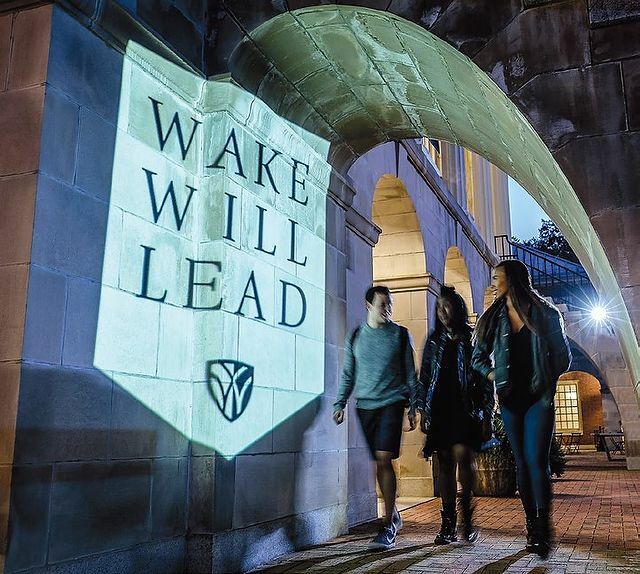 Wake Forest is extending the Wake Will campaign to raise $1 billion by 2020 to enable the University to become a national leader in several areas. Wake Will: The Campaign for Wake Forest surpassed the original goal of $600 million two years ahead of schedule. 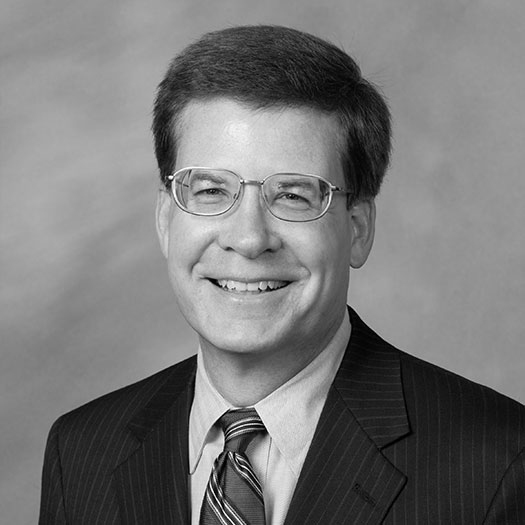 Don Flow (MBA ’83), chair of the campaign and Wake Forest’s Board of Trustees, announced the original goal in October 2014. “With the help of alumni, parents and friends, Wake Forest will create opportunity, educate the whole person and inspire excellence for generations to come,” Flow said then. The campaign has done that by raising more than $625 million as of last October for scholarships and financial aid, faculty support, academic and campus life programs, and new and renovated facilities. More than 50,000 alumni, parents and friends have contributed to the campaign. The campaign has generated enthusiasm and momentum, Hatch said, to take the University “into a new era where philanthropy can fuel our aspirations and reduce our dependence on student tuition.” Wake Will strengthened Wake Forest’s foundation by funding student and faculty support, programs and facilities. Wake Will Lead will fund innovative ideas, programs, classes and research in half a dozen areas where Wake Forest can become a national leader, he said. • Continue to transform the traditional career-services model into a four-year comprehensive approach to personal and career development. The Office of Career and Personal Development has been recognized as a leader nationally for reinventing career services to prepare students for work and life after college. • Build on Wake Forest’s tradition of Pro Humanitate to prepare students to become ethical leaders and engaged citizens. Already, Professor of Philosophy Christian Miller and Professor of Psychology Will Fleeson are conducting promising academic research to address questions of character. • Prepare students for a global society through study-abroad programs, cross-cultural experiences and international service. Wake Forest already offers study-abroad programs in 200 cities in 70 countries. • Provide personal attention, a holistic education and a meaningful, mentored academic experience to every student. In 2016, U.S. News & World Report ranked Wake Forest among the top five national universities in undergraduate teaching. • Expand programs in emerging areas, such as engineering and biomedical sciences, through Wake Downtown. New programs in biochemistry and molecular biology began in January; an engineering major will be offered beginning this fall. • Enhance programs in the law, business and divinity schools to prepare alumni to lead their professions and communities. Wake Will helped fund construction of Farrell Hall for the business school, and renovations to Worrell Professional Center for the law school and Davis Chapel for the divinity school. 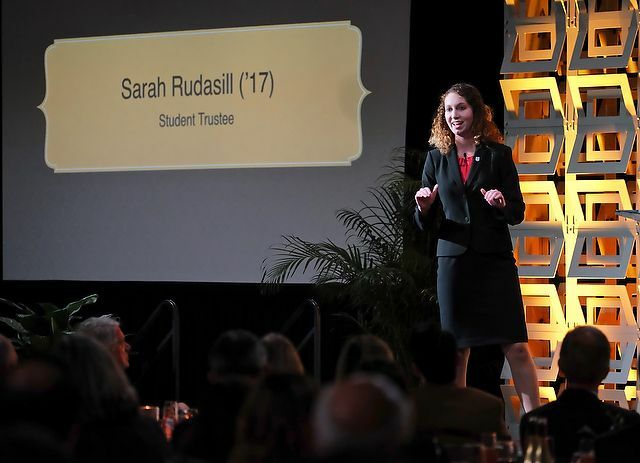 Student trustee Sarah Rudasill, a senior from New Oxford, Pennsylvania, and a finalist for the prestigious Rhodes Scholarship last year, said the campaign has shaped her college experience. She received several scholarships that made it possible for her to attend Wake Forest and research grants that enabled her to research health care in South Africa and Costa Rica. Bobby Burchfield (’76), a member of the Board of Trustees and campaign cabinet, said he’s been impressed by the enthusiasm and generosity of alumni, parents and friends for the campaign. “I’ve watched the University go from raising tens of millions of dollars to hundreds of millions of dollars today,” said Burchfield, who was a vice chair of the University’s last major fundraising drive, “Honoring the Promise,” which ended in 2006. Burchfield has established a Presidential Chair of Political Economy, one of 10 Presidential Chairs funded during Wake Will to recruit and retain top teacher-scholars. The unprecedented generosity of alumni, parents and friends has enabled the University to exceed the original campaign goal two years ahead of schedule. Wake Forest can build on that momentum to seize new opportunities to prepare students to thrive and lead in an unpredictable world. While Wake Will focused on strengthening Wake Forest’s foundation — faculty and student support and facilities — Wake Will Lead is more aspirational, building on the University’s traditional strengths, as well as opportunities in emerging areas, to become a national leader in several areas. How has the money raised so far been used? The campaign has raised more than $625 million, including $174 million to create 300 scholarships and more than 300 student aid funds; $66 million to recruit and retain faculty, including 10 endowed Presidential Chairs; $152 million for academic and campus life programs including 30 new funds to support academic departments; $133 million for construction and renovation projects, including Farrell Hall, McCreary Field House, the Sutton Center and the transformation of historic Reynolds Gym; $82.5 million in unrestricted gifts; and $17.5 million in gifts to other areas. How many alumni have supported the campaign? More than 50,000 alumni, parents and friends have supported the campaign. Jocelyn Garber Hogan (’04) of Taylors, South Carolina, was recognized as the 50,000th donor when she made a $75 gift to the Wake Forest Fund. I can’t make a large gift to the campaign. Do small gifts count? Yes. Seventy-five percent of donors have committed less than $1,000, and 52 percent have given less than $250. Giving by young alumni has increased 184 percent. The Wake Forest Fund is an important part of the campaign. What are the goals for Wake Will Lead? Briefly, to prepare students for work and life after college through college-to-career programs; to prepare students to become ethical leaders and engaged citizens, and support research into character and leadership; to prepare students for a global society that requires intercultural understanding; to hire and support the best faculty to mentor the best students in an environment rooted in the liberal arts; to expand programs in engineering and biomedical sciences through Wake Downtown; and to develop professionals in law, business and divinity to serve their communities and professions. What areas of the University will benefit? Each area of the Reynolda Campus — undergraduate college, graduate school, professional schools, campus life, Reynolda House and athletics — has been challenged to develop innovative ideas to strengthen Wake Forest’s community of learning.